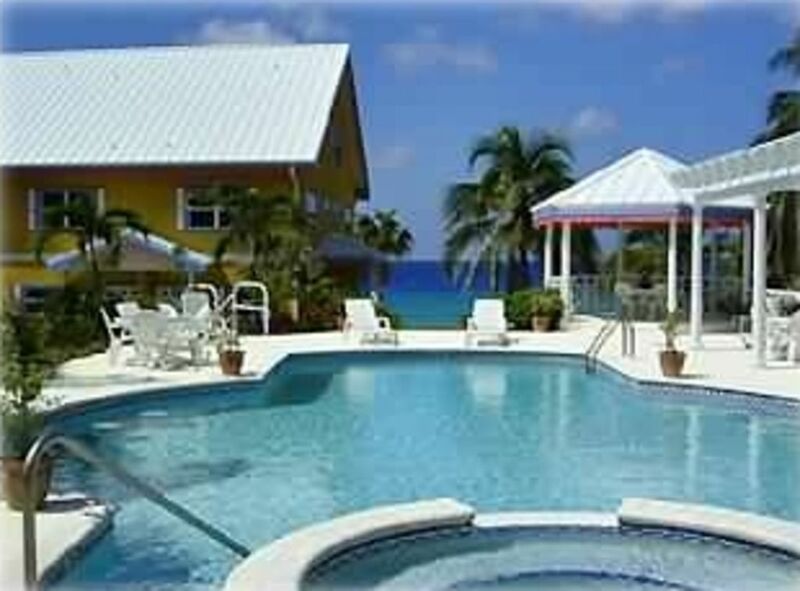 Coconut Bay - Grand Cayman is perfect for a family vacation, a water sports action adventure or a romantic escape. This is a recently built, beautifully appointed, three story 2330 square feet , three bedroom, three and a half bathroom, luxury townhouse. Built in a traditional Caymanian style, the house is situated on an upscale oceanfront development on the beautiful North West Point.We have the best shore diving on the island and are a short drive for boat pickups for dive and snorkel trips.discount schemes set up for diving/snorkeling/fishing/boat trips/kayaks and paddle boards.we also work with budget on discounted car hire packages. The house is one of only 26 in the complex. Set amongst lush tropical landscaping, you will find two fine swimming pools and a jacuzzi, together with gazebos to provide cool shade from the afternoon sun. The house provides spacious accommodations for up to six guests. It has three bedrooms, three full bathrooms (plus a downstairs rest room), twin zone central air, ceiling fans, luxurious open plan living and dining areas and lanai.We have extra full size beds available if you wish to squeeze a few extra people in the condo and these can be put in the large top floor bedroom. we have several owners doing rentals so please enquire for additional availability please email with enquiries, all houses are identical layout with different decor and different views.the complex is perfectly situated for the avid diver and snorkeler with easy access to the water and only a short swim to two of the islands top dive sites.All rental gear and tanks are available on the complex and we have a instructor onsite for residents.We are a short walk from boatswains beach and the turtlefarm and the new dolphin discovery.we have a discount program with stingray watersports for diving and snorkel trips . The best shore diving and snorkeling in cayman.this is where the outer reef comes closest to shore on the whole island.massive amount of fish life compared to other dive sites.Guests are close to sevenmile beach but have the privacy of a private complex which is mainly owned by overseas people and is never crowded.we are one of the few complex's with 2 large pools. 2 Pools (shared), jacuzzi (shared), rental scuba equipment, available email your requirements for price,DIVE TRAINING AVAILABLE IN COMPLEX POOL (MUST BE PRE BOOKED).FISHING AND DIVING TRIPS AVAILABLE FROM MY 42 FT NEWTON DIVEBOAT.WE OFFER GUESTS A 10% DISCOUNT WITH MY WATERSPORTS COMPANY WHICH HAS 4 BOATS AND RENTAL KAYAKS.COMPLEX HAS TE BEST SHORE DIVING ON THE ISLAND WITH TWO GREAT DIVE SITES A SHORT SWIM FROM SHORE. We had plenty of room for a family of 7. The beds were comfortable. The kitchen had ample supplies for cooking. Hot showers were not as plentiful. The condo had a Webber grill that worked great. The beach area had a perfect area for watching the sunset. The pools were great for relaxing and cooling off. I would definitely recommend this location. We had a rental car and could easily get around the island. The 1/2 day boating adventure was great. Dominick and Peirre mad sure we had a fantastic time and helped us make great memories without a huge crowd of tourists. Great property with convenient beach location. Great property with nice amenities. Beach access was very convenient and Duncan was very helpful. Would definitely stay here again. Very nice, everything was as advertised and beyond. Duncan, thanks for the awesome boat ride and "stingray city" experience. What a great location! Fantastic wall dives right off back of property. Non diving family loved the pool out the back door and Cemetery Beach down the road. Everything is within 5 min drive. Duncan was super to work with, setting up dives and trip to stingray city for us. We will definitely be returning hopefully with more family in tow! Great condo, great hosts, excellent location. Everyone from grandma to teen boys had a great time! There was 7 of us in total. ( 4 adults and 2 teenage girls, and my son), we stayed a week at the condo. This place is incredible. Its 3 levels. The top floor has 3 beds on the upper level with a full shower AND walk n closet, which was perfect for 2 teenage girls. They had their own floor! After a long day at the pool or 7 mile beach they would chill out away from the adults. The spacious second floor master bedroom features a KING size bed. And it is the most comfortable bed! Plus an ensuite and 2 closets. Then there is a full bathroom in the hallway. So the other adults had their own bathroom. The main floor kitchen is complete with granite counter tops, rangehood microwave. The kitchen is fully stocked with absolutely everything you will need. Dining room table and living room. Back patio has a patio set and a great bbq. Fully air conditioned. We were super excited to scuba dive out the backyard! It was fantastic walking to the macabuca restaurant. The sunsets during dinner were amazing. Duncan the property manager arranged EVERYTHING from our boat dives, shore dives, private boat rental to sing ray island (with a captain.). Duncan runs stingray water sports. Stingray water sport dive masters were super fun and I felt safe at ALL TIMES. The owner was also staying in another condo. He is a fantastic guy! He drove us back from a dive and carried our bags lol. The minute I got home I booked it for December. Thanks stingray water sports and thanks Kent! check in is from 5.00pm and check out is 11.00am we will try and work with early arrivals or late departures depending on when other guests are due in at no additional cost.guests arriving early/leaving late are invited to use all the facilities at coconut bay for the day of their arrival/departure.a drop off of luggage is available for early arrivals.